The lawsuit by the Animal Legal Defense Fund, ACLU of Idaho, PETA, undercover investigators and others (including me — I’m a plaintiff because ag-gag threatens journalists) is moving forward. It’s a milestone in the case, and on top of that it’s an incredibly strong ruling. Idaho’s “ag-gag” law against photographing factory farms and slaughterhouses raises serious constitutional issues that need to be evaluated, a federal district court judge recently ruled. That means the lawsuit by the Animal Legal Defense Fund, ACLU of Idaho, PETA, undercover investigators and others (including me — I’m a plaintiff because ag-gag threatens journalists) is moving forward. It’s a milestone in the case, and on top of that it’s an incredibly strong ruling. 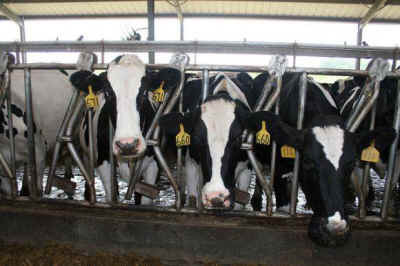 Idaho was the 7th state to pass an “ag-gag” law, and it was in direct response to an undercover investigation by Mercy For Animals which exposed workers at Bettencourt Dairies punching and sexually abusing cows. The government argues that ag-gag doesn’t restrict First Amendment activity, because undercover investigators may misrepresent themselves on job applications in order to film. Chief US District Judge B. Lynn Winmill said in his ruling that a ban on photography and videography is clearly a free speech issue. And if journalists or investigators lie on a job application, that’s still fully protected speech. As an example, Judge Winmill cited union activity called “salting,” where unions send paid reps to apply for jobs so that they can recruit new union members. Because union organizers are often denied access to worksites, they have to lie or misrepresent themselves on job applications. Salting is completely legal, and it’s even protected by the National Labor Relations Act. The plaintiffs argue that ag-gag laws are meant to single out animal rights activists and journalists for harsh penalties solely because they speak critically of the agriculture industry. Judge Winmill seems to agree, and says that ag-gag is neither content nor viewpoint neutral. Under the law, it’s illegal to film animal abuse without permission, but it’s not illegal to film the farm owner’s children, he notes. Perhaps most important is that Judge Winmill acknowledged that ag-ag, at its core, is an attempt by the industry to stifle negative publicity by effective undercover investigators and the media. 'In fact, the more successful an activist is in mobilizing public opinion against a facility by publishing a video or story critical of the facility the more the activist will be punished,' he wrote. Because right now Idaho is in full ripeness as a state that looks like it has something to hide. And that is not a good place to be.